Clay Enos / DC Comics / Warner Bros.
San Diego Comic-Con is usually packed with surprises, but nobody saw this one coming. On Saturday, July 21st, Gal Gadot and Chris Pine surprised the crowd during the Warner Bros. panel with a clip of Wonder Woman 1984. Why is that such a big deal? Because the movie only began filming a few weeks ago. Director Patty Jenkins also showed up to the panel, where she said, “We really shouldn’t even be showing anything,” ET Online reports. Just like Wonder Woman, though, Jenkins and the Wonder Woman 1984 cast are looking out for the greater good of humanity. While the Comic-Con clip hasn’t aired elsewhere, it sounds like quite the action-packed scene. In the clip, according to EW, Wonder Woman shows up at a mall to defeat baddies and save a young girl, who is clearly a fan. (Who isn’t?) After getting the little girl into the safety of a giant teddy bear’s hug, she takes on two men, crushing their guns with her bare hands. It’s pretty easy to imagine if you saw the first film, because Gadot’s Wonder Woman can do anything. As ET Online noted, Gadot made sure to specify that Wonder Woman 1984 isn’t just a sequel. “It’s its own story. It’s a whole new movie,” the actress said. That must be so, because 1984 is quite the time leap from the first movie’s World War I setting. As surprising as the time leap is, the most surprising aspect of Wonder Woman 1984 has to be that Pine’s character, Steve Trevor, returns. Jenkins addressed Steve’s return in the second Wonder Woman movie at Comic-Con. To jog your memory, at the end of Wonder Woman, we see Steve’s plane get bombed. So needless to say, we have questions about why he’s standing before us, casually looking very alive in his ’80s clothes. Jenkins addressed his return, but she didn’t really give us any details. "It’s something I’m super excited for everyone to see the movie to find out," Jenkins said, EW reports. "But it’s a very important part of our movie." Well, that’s one way to block a question. We’re gonna need a little bit more information than that, please. Pine wasn’t much better when answering a question about how the heck he returns for the next Wonder Woman movie. When asked about how or why his character returns after everyone was sure that he’d died, Pine said: “I can’t tell you that.” Okay then. 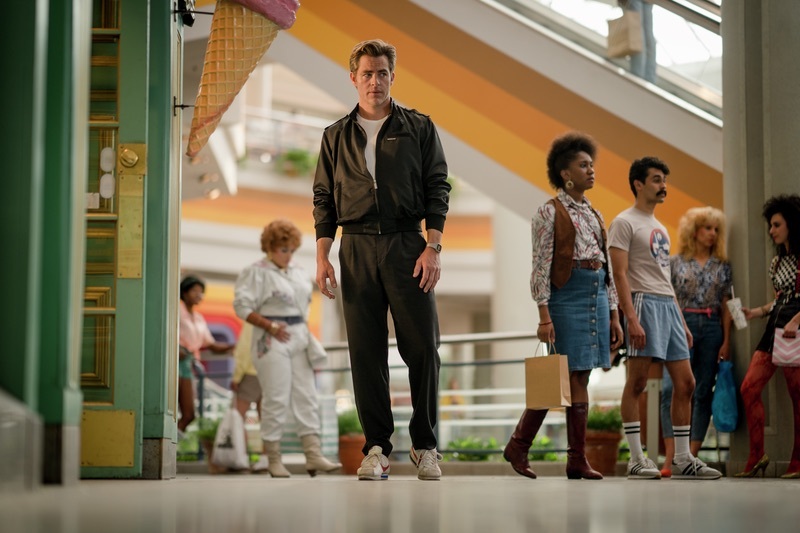 While they couldn’t answer every question, the Wonder Woman 1984 cast did share a few other tidbits about the upcoming movie. Jenkins explained why it takes place in the ’80s. "There was something about that time that was the beginning of modernity and the modern world," Jenkins said, ET Online reports. "I grew up in the '80s." As for the pressure to make a movie as popular as the first Wonder Woman, Gadot said she’s aware of it. "The bar is very, very high, but our aspirations are even higher. We just give it everything that we have, really hoping that what we bring, you guys will love," Gadot said, according to ET Online. Considering that Kristen Wiig will play a villain named Cheetah, a.k.a. 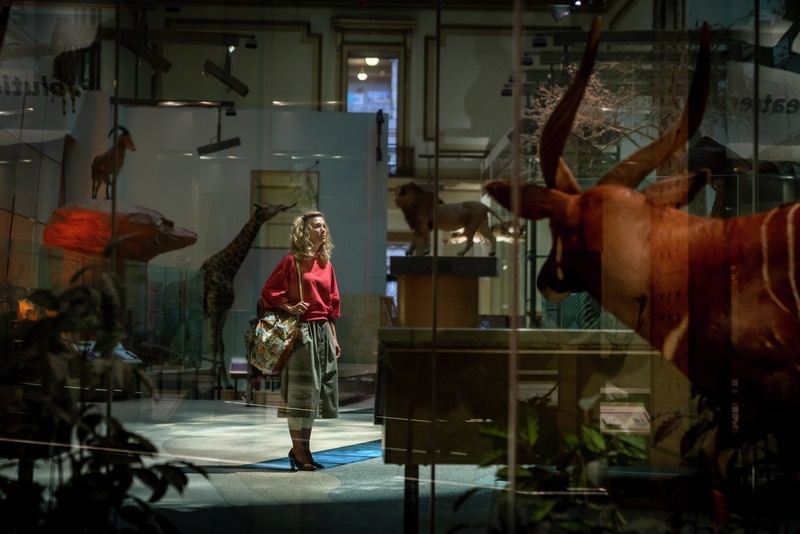 Barbara Minerva, it already sounds like Wonder Woman 1984 will exceed expectations. 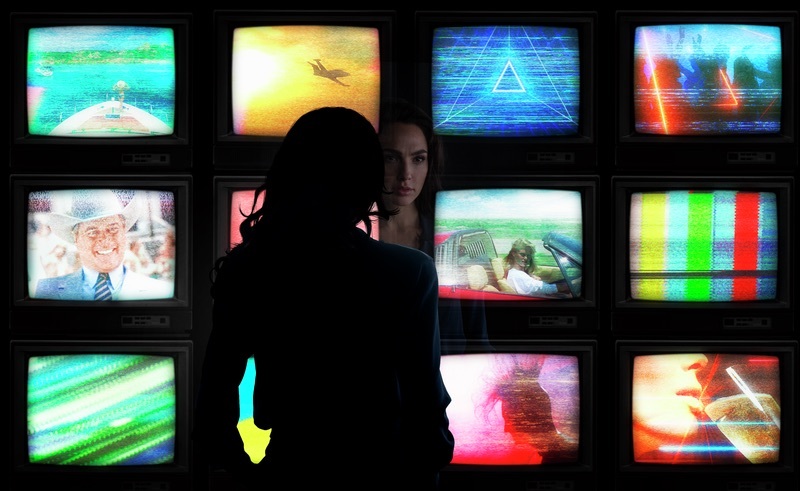 Wonder Woman 1984 comes out in November of 2019, and we already can’t wait.